Listening to clients is key. We smile when clients smile! Our commitment is to learn your needs, assist in considering options, devise a plan for your review, and only when you are satisfied with the plan, to provide the quality materials and apply the craftsmanship required to achieve a quality result. 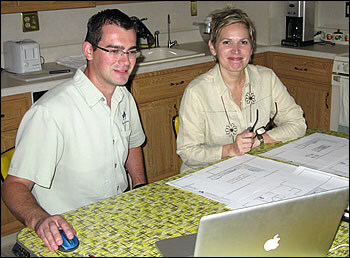 Selecting Design and Renovation by Rémi for our kitchen renovation was the best decision we have made as homeowners. We have used other contractors with success but none can compare to our experience with Rémi. We are incredibly satisfied with all aspects of our renovation by Rémi and we have received numerous compliments from friends who have followed the progress of the renovation process, met Rémi and seen his crew and him in action. Rémi is an extremely talented, innovative, and creative designer and he also is a great communicator. Most importantly for us, he is a very good listener. We did not approach Rémi with a kitchen design or concept but we did have some general objectives for the project: update the appearance and functionality of the kitchen and maximize the utilization of the space. Following two detailed discussions, Rémi drafted several concepts for our review. After one more discussion, we had a layout that was sufficient to begin the process of material and appliance selections and cost estimating. Rémi also suggested many excellent and innovative design features, most of which were incorporated seamlessly into the final design. Rémi also is extremely knowledgeable about innovations in lighting, control systems, plumbing, and appliances. We had our share of design changes and modifications along the way but they were addressed in real time and had minimal impact on schedule. Rémi does an outstanding job of coordinating and scheduling his work, meetings with suppliers, his subcontractor work, and required inspections. He also did a great job of keeping us informed; we always knew what to expect. We were very pleased with the time it took to complete our kitchen renovation and this aspect of the job far exceeded our experiences with any other contractors. Rémi has excellent design skills but he may even be better at executing his designs. His construction skill set is almost limitless but he tends to focus his attention on details that enhance the final appearance. Rémi isn’t satisfied unless everything is level, square, and fits together perfectly. Rémi performs many of the critical installation tasks himself. When Rémi employs subcontractors, they maintain his expected level of quality. How satisfied are we with our kitchen renovation by Rémi? We are already thinking about the next job we want him to do for us. "It is with great pleasure that I write about Rémi's work. Rémi is a contractor and designer. He is creative; has the ability to analyze a space, maximize its potential (not your budget! 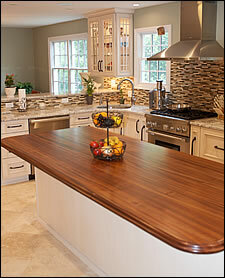 ), provides assistance with repurposing the function of the space and even reworking the typical placement of furniture. "The renovation of my second floor consisted of the bedroom areas and two bathrooms. Rémi oversaw a team of electrical, plumbing, HVAC, painting, and flooring professionals, and was hands on the job. He kept me informed on the status of the project and developments, usually meeting weekly or every two weeks. As someone who is detail-oriented, I was impressed with Rémi's close attention to detail from the processing of the permits, fixture and finish selections, to worksite safety and cleaning. He listens and remembers. "After the renovation, my second floor bedrooms have plenty of new closets and are a comfortable space. The original floors look updated with a darker satin finish and the paint job is immaculate. My bathrooms, which consist of a mix of natural stone and porcelain tile used to contain costs, are beautiful and functional. "After a successful on-time completion of the second floor project, Rémi will be handling my main floor project, consisting of a new kitchen and bath design. He has already provided suggestions to minimize the disruptions that I will surely face with a major project like this. I look forward to working with him and his team. Rémi is a professional whose work is high-quality and finely executed and I recommend him without reservation." "Hiring Rémi to do our renovations was the best investment we have made in our home! 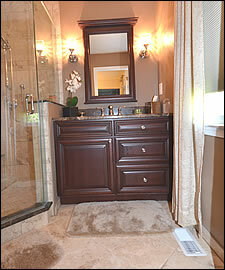 He has remodeled our bathrooms, dressing rooms, closets, and kitchen. "He is an excellent listener; once we gave him our basic vision, he used his expertise to create something even better than we expected. He is meticulous in his work and his creative ideas were exceptional. He worked with us every step of the way to make sure we were satisfied and still within our budget. "We were away while the bulk of the bathroom remodeling was done, and we had full trust in Rémi to keep the project on schedule and our home secure. He is a true craftsman; we are so pleased with what he has done to upgrade our home." "Rémi has renovated our bathrooms, kitchen, staircase and bedroom floors. The jobs were done professionally, cost effectively, honestly and beautifully. Rémi's advice concerning the layout of each room and the addition of amenities we had not thought of were priceless. "He is a trained craftsman with high expertise. If, perchance, we were not happy with some small aspect of the job, we discussed it with Rémi and it was taken care of immediately. At the end of each day during the jobs, we could not tell that anyone had been in our home; the clean up was that good!!! "Whatever home improvement project is next on our list, you can be sure Rémi will be a part of it!!" "While remodeling your kitchen can be one of the biggest investments you'll make in your home, it can be a daunting process for many. For Cheryl and myself we needed someone highly recommended by others who would spend the time to understand what we wanted and needed in our new kitchen. "Design & Renovation by Rémi came highly recommended and we personally enjoyed working with the owner operator Rémi Hocquaux. We appreciated his professionalism and respected his advice and opinions. Our expectations were managed throughout the process: starting with our work with alternative designs, selections for cabinets, appliances and paint; and changes requested along the way; like the TV on the back porch and the speakers by the pool. "We couldn't be more happy with our new kitchen and we are appreciative of Rémi's hard work and dedication to his craft." "Rémi, I wish to thank you for the wonderful bathroom you designed for Don and me. It was amazing how quickly you came up with the accessible design for me being in a wheelchair. The vanity is so nice to be able to have everything at my reach. My bench and shower is amazing and the fact that the bathroom is waterproof. "Don loves the heated floor as well as my bench. The floors for the bedrooms and living/dining room are fantastic. The paint jobs made the home feel so warm. My new kitchen sink is fantastic. I am able to do so much more; before I could not use the sink that was in our home. My ramp is so easy to maneuver and I like that it is in the garage so that the walkway retains its beauty. "Thanks again for all that you do. Our home is beautiful and I love to show it off."